Fractional Laser uses very fine laser beam to minimize skin damage by heat and to shorten the recovery and rejuvenation period. Therefore, the patients can resume normal daily activities soon after treatment. Fractional laser uses a Co2 tube to improve the effects of treatments. This Co2 tube has a long life time, stability and advantage of precise treatment. 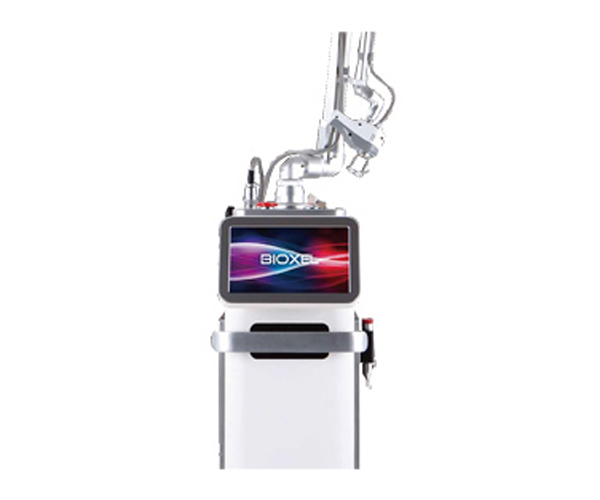 Treatment time can be shortened by adjusting spot size and beam density, which is beneficial for both of the operator and the patient.